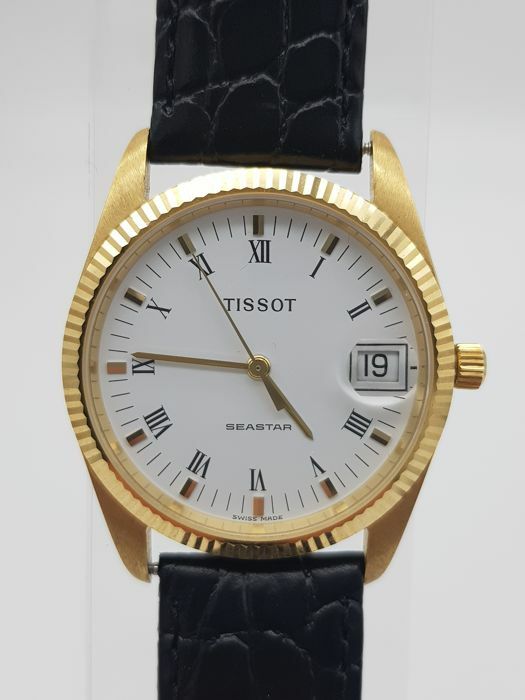 Seastar " NO RESERVE PRICE"
18 kt (750/1000) gold case. 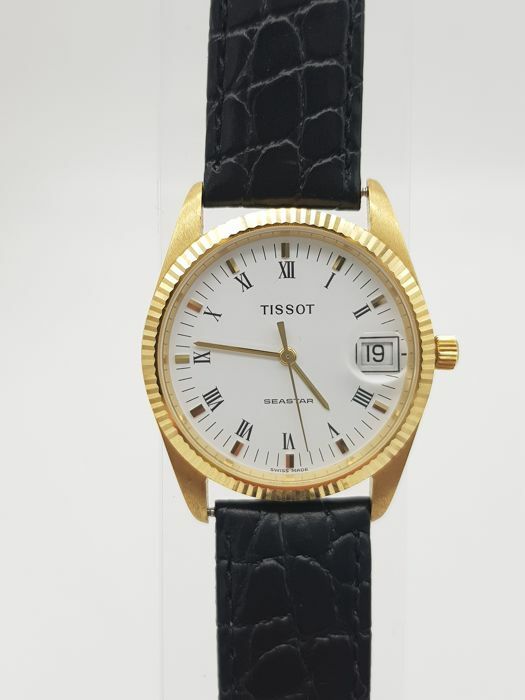 White dial with golden hands, Roman numerals, date function at 3 o'clock. 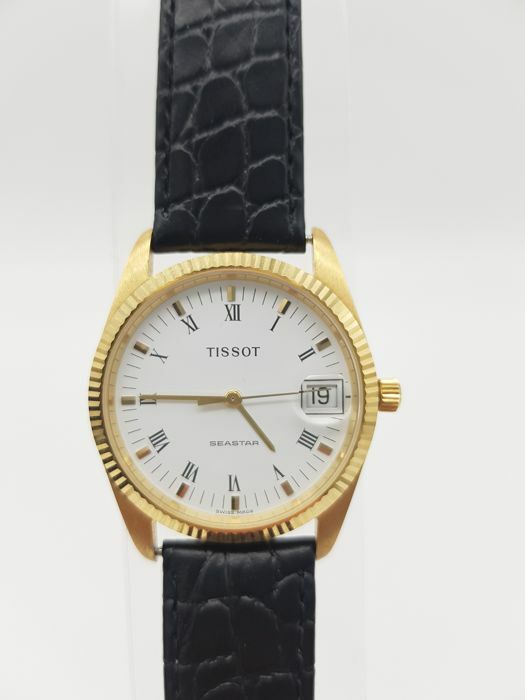 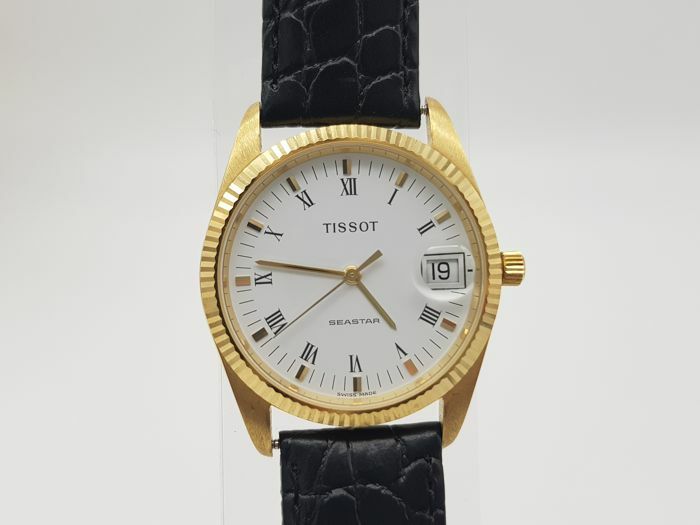 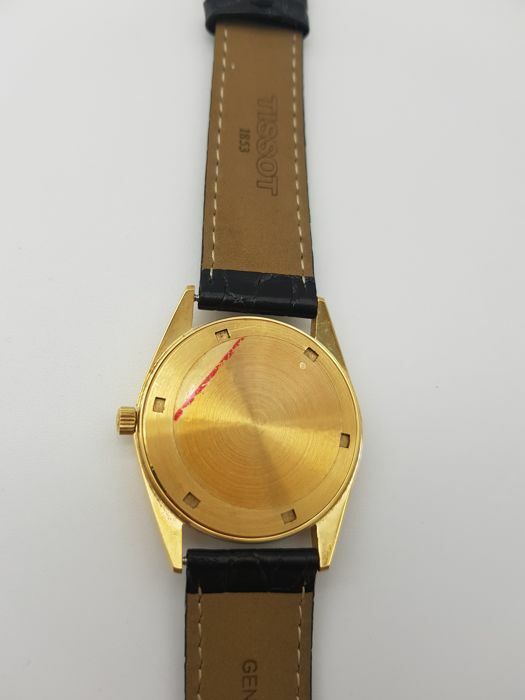 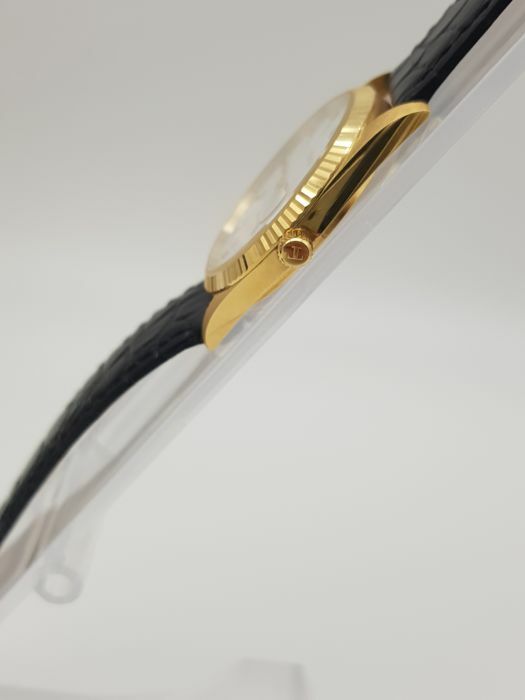 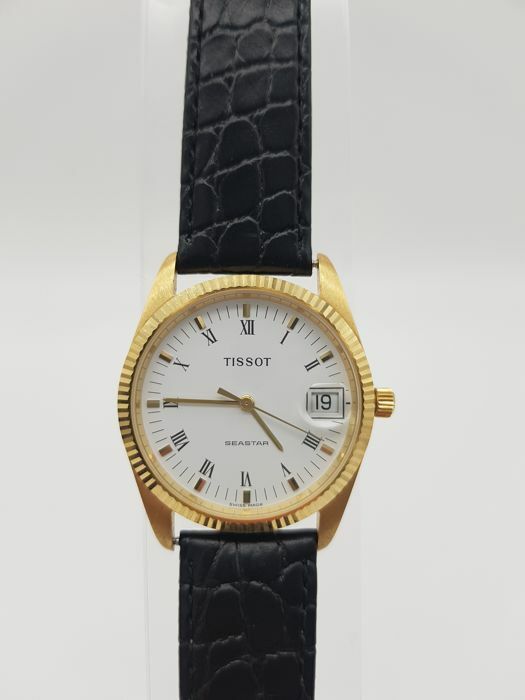 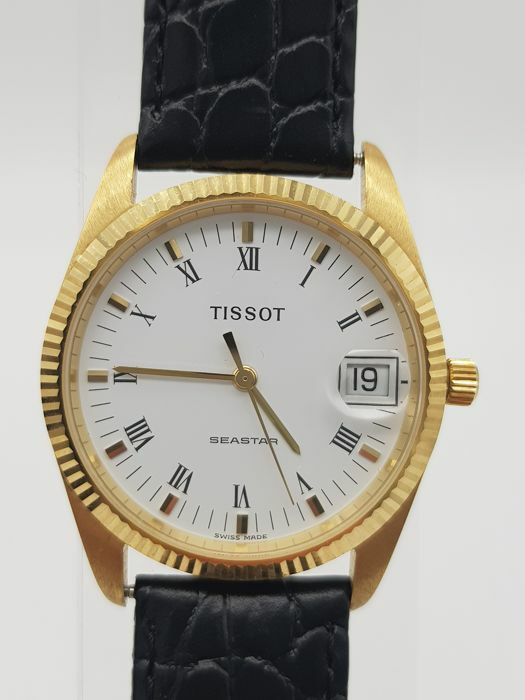 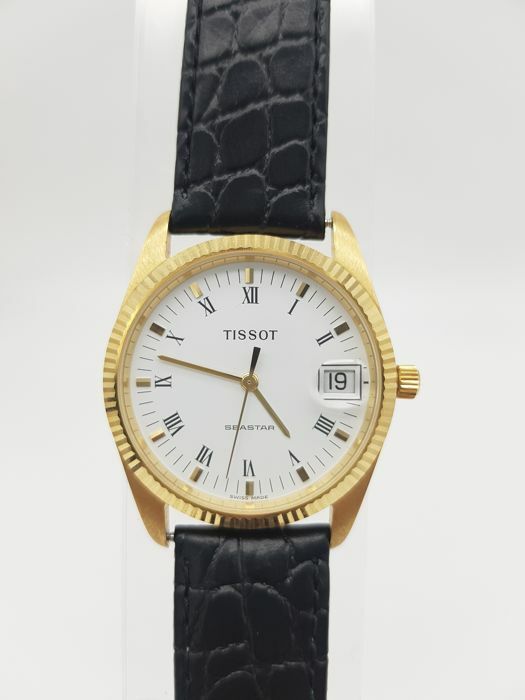 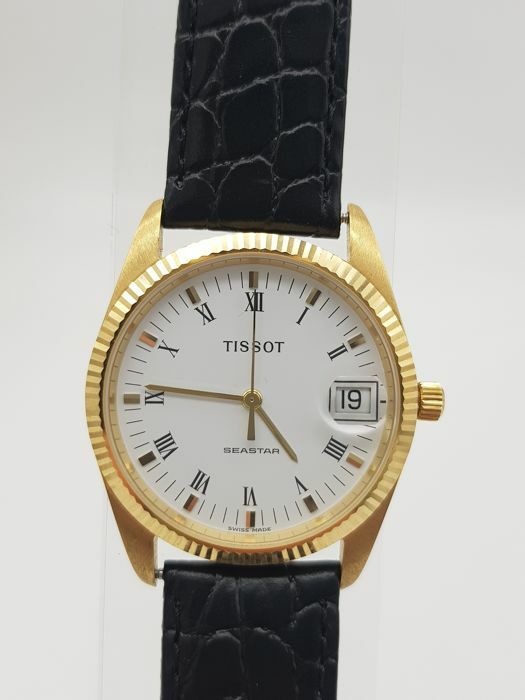 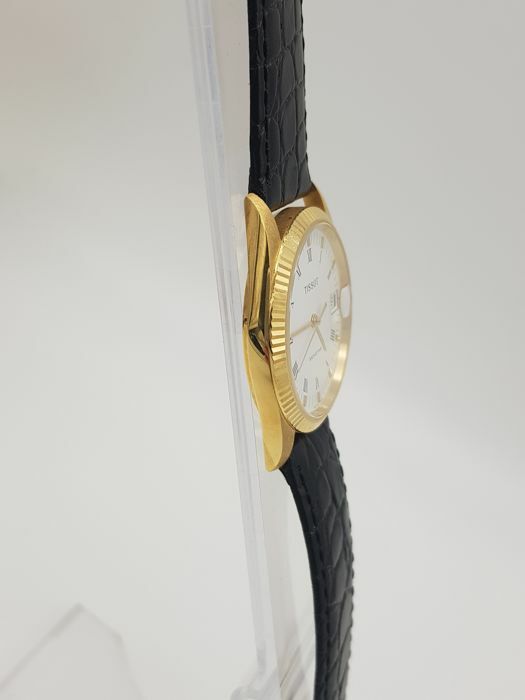 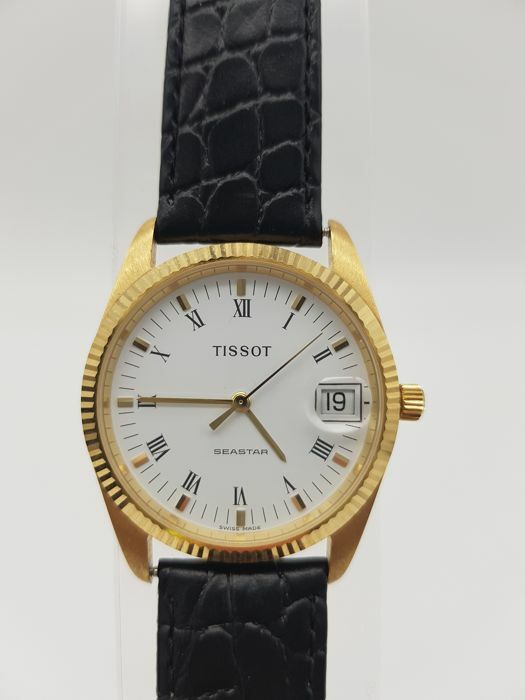 Tissot black leather strap, 18 cm.